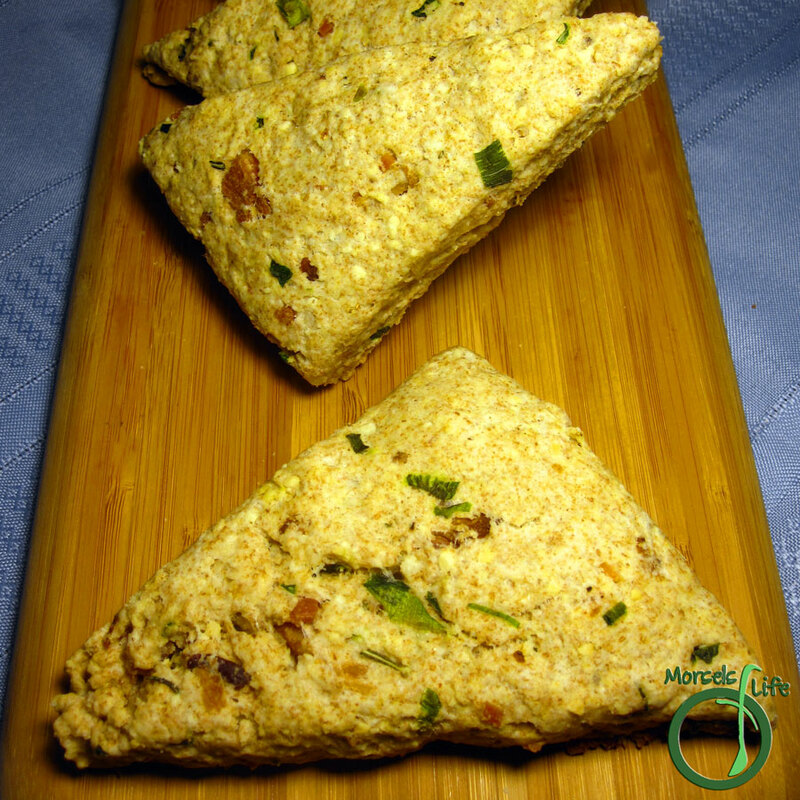 Savory Bacon Parmesan Scones - a buttery treat with the heartiness of bacon nestled among the peppery notes of green onion and warm, embracing flavors of cheese and rosemary. Normally when I think of scones, I salivate like Pavlov's dog in anticipation of a delectably sweet treat with a fragrant cup of jasmine green tea. Scones don't take too long to make, and much like pizza, I see them as something of a culinary chameleon. Whether you're a traditionalist going for specific add-ins or you feel more creative, you simply can't go wrong. I've featured some of my favorite combinations in the past, but even incorporating novel sugary ingredients can become a bit wearying. I've never been one for routine and "the same old thing," so when I saw this recipe from The Novice Chef, I started thinking about savory flavor combos. The idea of incorporating ingredients off the beaten track immediately jumped out at me, which is why I'm only too happy to share it with you. And of course, I haven't found a dish where bacon isn't welcome! What's your scone preference - savory or sweet? 3 cups flour I used half whole wheat and half white. 1 cup milk I used whole. Form Dry Team by combining flour, baking powder, cheese, black pepper, and rosemary. Form Wet Team by mixing milk with egg and green onions. Cut butter into Dry Team until roughly homogeneous. Combine Wet and Dry teams, along with bacon. Turn out dough on a floured surface and cut into wedges. Bake at 400F for 20 minutes or until golden brown and delicious. This looks totally yummy. What a meal! We really liked them. :) I'll be sure to check out your blog and the giveaway! I am so sorry it has taken me so long to thank you for linking your wonderful recipe up to my In and Out of the Kitchen Party! I love scones, but have never tried a savory one! This would make a great breakfast! Thanks for sharing at In and Out of the Kitchen and I look forward to seeing what you bring next week! Don't forget, 7:00 p.m. EST on Monday the party goes live!